What would you like to do, to eat and to buy in Kyoto? And where would you like to stay? 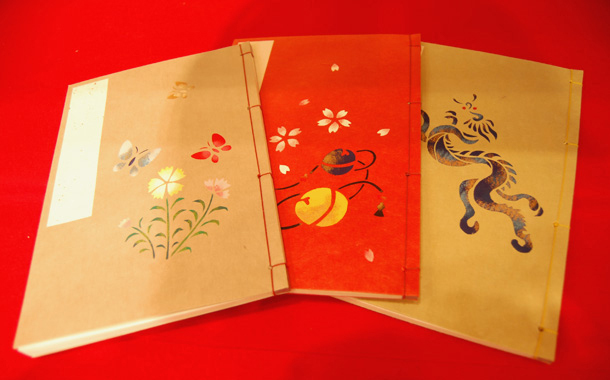 The Kyoto Artisan workshop offers you various kinds of handicraft workshops: lacquer painting, Japanese book binding, Japanese fan painting etc. 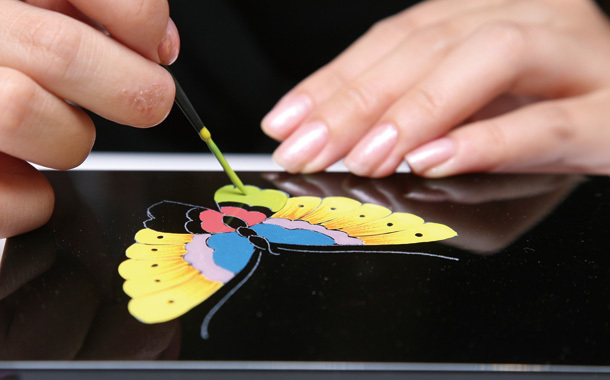 Proficient and elaborate skill is essentially needed for these handicrafts. 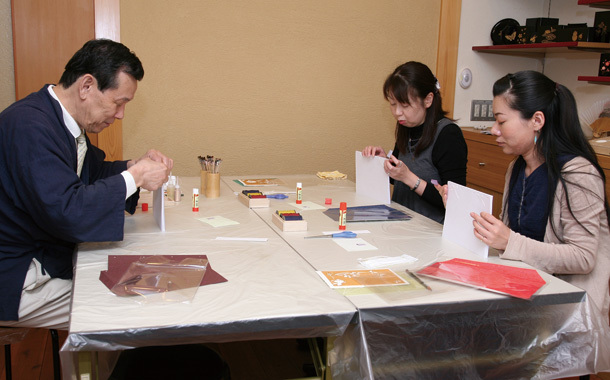 But all the courses of The Kyoto Artisan Workshop have been developed simply and easily for participants, and also provided at a reasonable price. 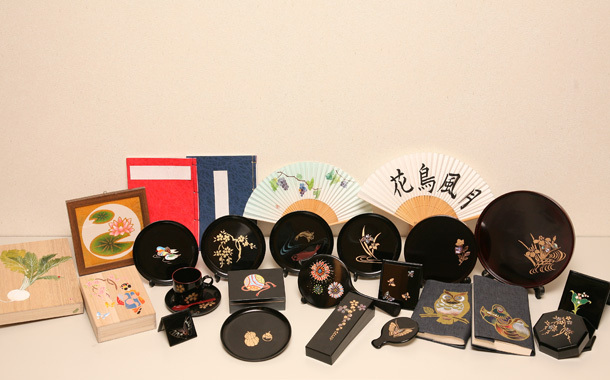 It would be an memorable experience and souvenir of your stay in Kyoto. 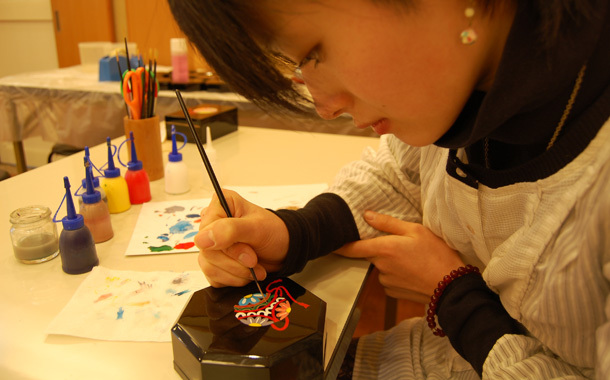 We have been offering the workshops of the Japanese traditional handicraft mainly for Japanese high school excursions since 2000 . 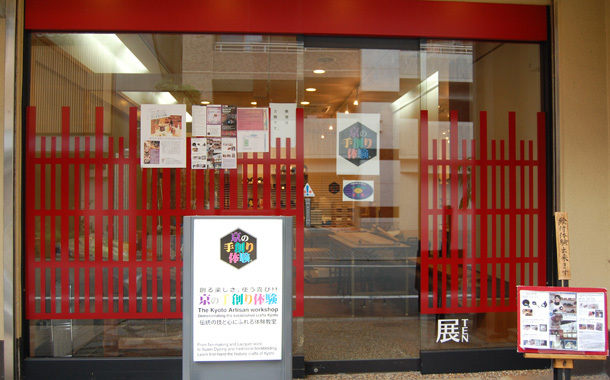 About three years ago, we started to introduce our workshops for foreign people. 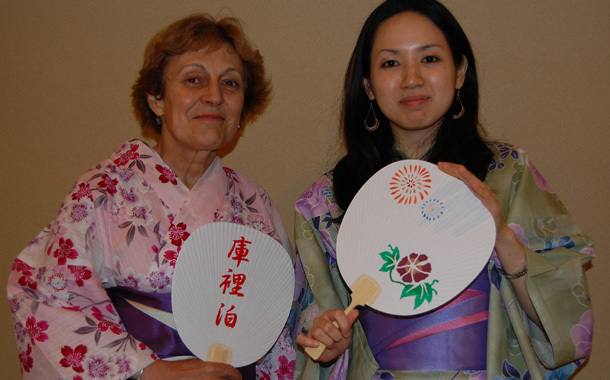 It's a great pleasure to spread beautiful Japanese traditions to the world through our visitors. I’m really interested in this workshop. 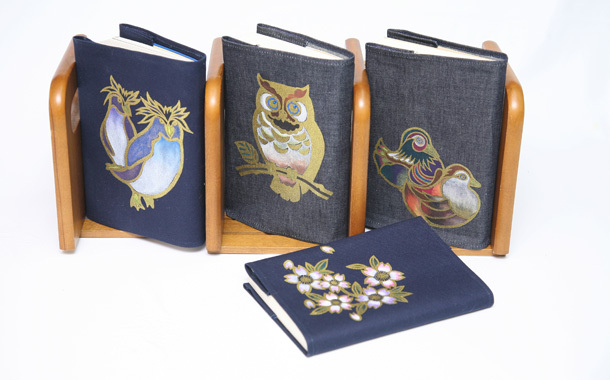 Can I bring my work to my home on the same day? 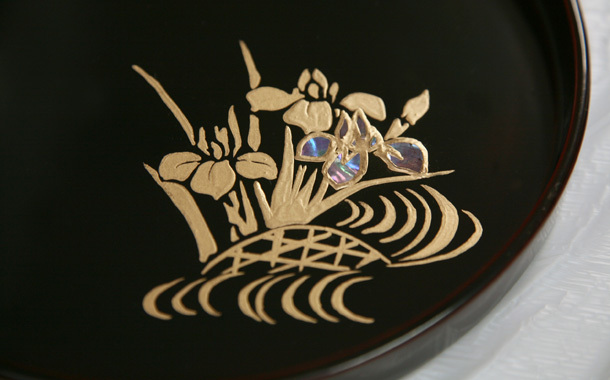 I tried to paint on a lacquer box. Kinkaku-ji Temple!! Special experience in Kyoto! Fun!! 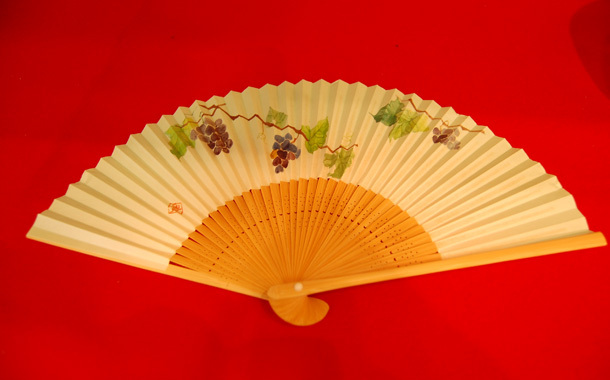 Our group, the Association of Foreign Wives of Japanese, had our National Convention in Kyoto and a group of us went to the KAW. We had a very nice time and were so proud and happy with our results! A couple of people said they were glad some Japanese speakers were in the group because the explanation was in Japanese, but it was very clear what we had to do, becasue of the demonstrations. Even if you don’t understand Japanese, you can enjoy this workshop. Thank you. Take subway Karasuma line and get off at Shijo Stn. 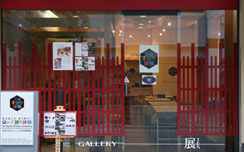 10 minutes walk west on Shijo Street and turn left on Sakaimachi Street.